Beginning with his first high school ceramic class in 1996, shortly after moving to Eagle River, Alaska, Ernest realized his passion for ceramics. He moved to Fairbanks in 2004 where he spent four years attending the University of Alaska Fairbanks, receiving his B.F.A. in Ceramics in 2008. Ernest was selected, upon graduation, to teach Ceramics for the University of Alaska Fairbanks Summer Visual Art Academy. Fall of 2008 Ernest moved to Montana for a yearlong residency at the Red Lodge Clay Center to further develop his work, his dedication, and love for the ceramic arts. 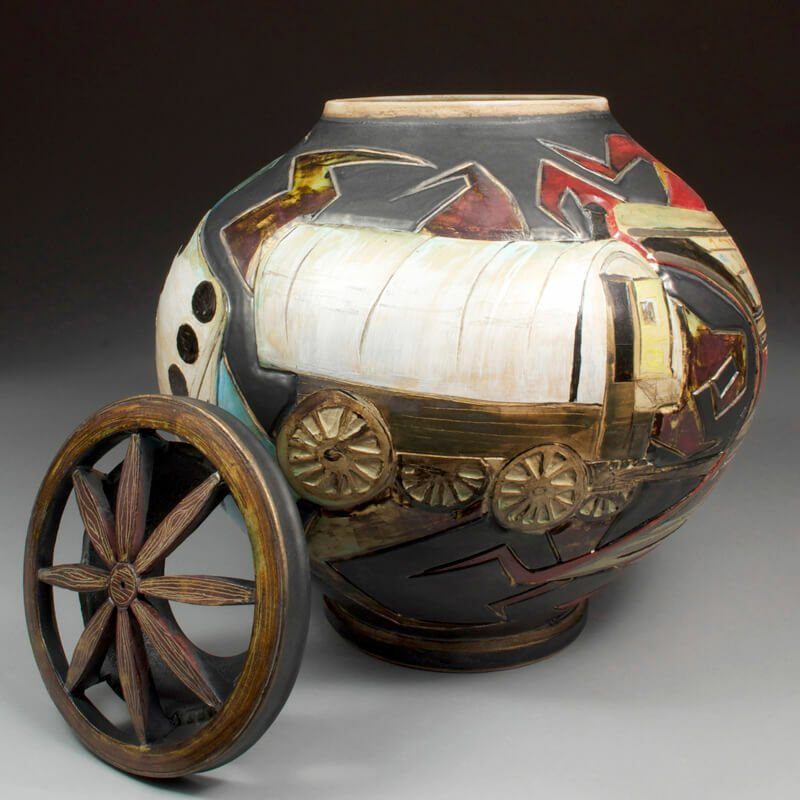 Spring of 2012 Ernest received his MFA in Ceramics at Montana State University. Fall 2012 Ernest has moved to Oxford Mississippi to join the Department of Art at The University of Mississippi as Instructor/Ceramic Technician. Currently Ernest has changed roles at the University of Mississippi as Visiting Assistant Professor, Ceramics. Ernest has traveled to China studying and researching different techniques of working, and technological applications of clay at Jingdezhen Ceramic Institute. He has shown work, lectured, and given workshops nationally and internationally. I am inspired by the challenges of creating and the fabrication of objects that are both provoking, and desirable to touch and interact with. I choose to create specific ceramic objects that foster memory stimulation and the ability to question functionality of a familiar object. Both performance based works and stand-alone objects relate to the curiosity and drive for discovery imbedded in human nature. My work also promotes the sense of discovery by the use of narratives and hidden clues as to how I intend the works to function. I leave the viewer the opportunity to unfold the work though the sense of touch, sound and visual aesthetics. I have always had a passion for building and fabrication. I am drawn to the many different building and firing techniques clay has to offer. Having worked with many other materials I choose ceramic as my primary medium. Ceramics allows me the ability to create forms, colors, details, and mimic any surface or object. The haptic qualities are the strongest origins of ceramics, which is why this work is designed for those that share the same curiosity that I have with the world.